Stholyantak Churna is a unique blend of various rare herbs to make you loose extra fats from your body. 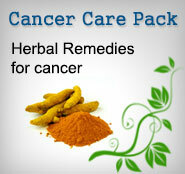 The herbs reduce the weight naturally and without any side effects. They act in a synergistic manner to help body get rid of extra fat. This formula not only removes fats but also corrects carbohydrate and protein metabolism. The formula is rich in natural anti-oxidants, vitamins and minerals. It not only helps loosing weight but also useful combination of rejuvenating herbs. It can also be used in conditions where the metabolism is sluggish such as hypothyroidism. Herbs in Stholyantak Churna: Stholyantak Churna is purely a herbal formulation without any chemicals added into it. The ingredients are frequently used in Ayurvedic system of medicine since 5,000 B.C. without any side effects. This product has its roots in Ayurveda-ancient herbal healthcare system of India . According to Ayurveda the balance of 3 energies- Vata, Pitta and Kapha (Kinetic, Thermal and Potential energy) in the body is a disease free state whereas their imbalance causes diseases. 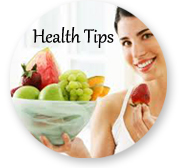 Irregular diet habits, excessive eating without physical exercise leads to obesity and indigestion. The disturbed "Pitta-the digestive fire" is disturbed leading to improper digestion and assimilation of fats. The herbs in Trim formula correct functions of "Pitta" which functions to increase overall metabolism and burn the fats. Herbs in Trim Formula: Trim Formula is purely a herbal formulation without any chemicals added into it. The ingredients are frequently used in Ayurvedic system of medicine since 5,000 B.C. without any side effects. Vrikshamal (Garcinia cambogia): Garcinia is a very useful herb for loosing weight. It's naturally occurring hydroxycitric acid compounds, are an answer to increasing problem of obesity. HCA, or hydroxycitric acid , is a natural substance that been extensively studied for over thirty years and found to be effective in inhibiting lipogenesis, lowers the production of cholesterol & fatty acids, increases the production of glycogen in the liver, and encourages weight-loss. Mustak (Cyperus rotundus): Commonly called 'Nut Grass' is a pungent bitter-sweet herb that relieves spasms and pain, acting mainly on the digestive system. It improves digestive system i.e. metabolic fire according to Ayurvedic principles, Vitiation of the metabolic fire leads to indigestion and blockage of channels. The channel blockage leads to obesity. Katuki (Picrorhiza kurrao): Katuki improves the secretions from gall bladder and helps in digestion of fats. It is very useful in fatty liver and also corrects the fat metabolism in liver. Triphala (The Myrobalans): Triphala literally means 'Three Fruits'. This combination of three fruits namely 'Harad (Chebulic myrobalan), 'Amla' (Indian Gooseberry) and ' Bahera (Belleric myrobalan) is useful in removing fats from the body. It corrects the liver metabolism in the liver and helps the body in removing fat deposits.